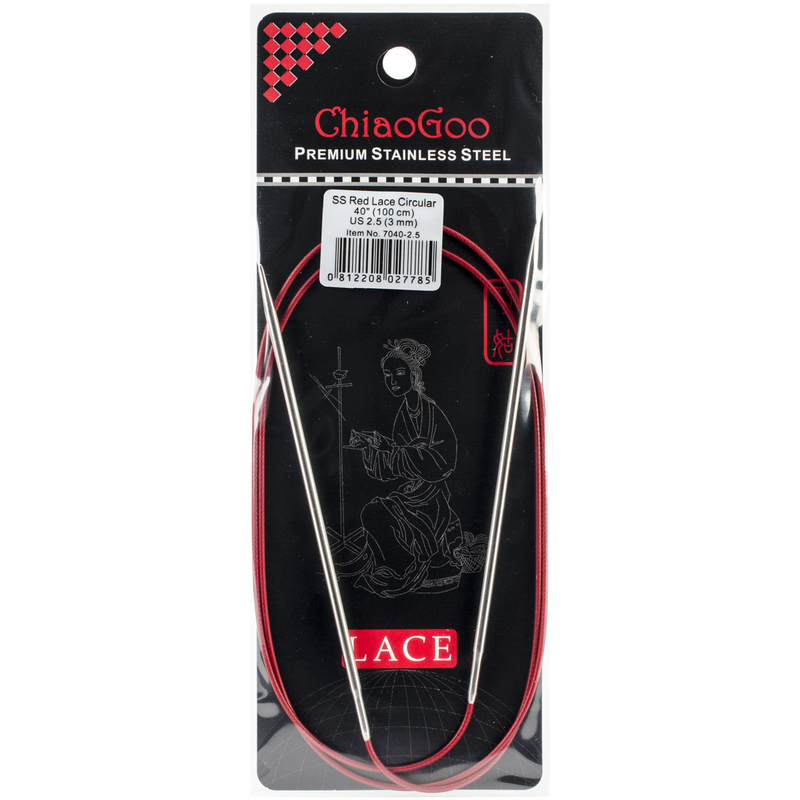 ChiaoGoo Red Lace Circular Knitting Needles are a premium line of stainless steel circulars. They feature a flexible, multi-strand, nylon-coated, steel cable allowing for your yarn to slide right over. The tips and joins are precisely machined! Available in 16 inch (US 0/2mm to US 11/8mm), 24 inch (US 0/2mm to US 11/8mm), 32 inch (US 0/2mm to US 11/8mm), 40 inch (US 0/2mm to US 11/8mm), 47 inch (US 0/2mm to US 11/8mm), and 60 inch (US 0/2mm to US 11/8mm).